Americans are, truly, an odd people. The more of the country I visit the more I come to this realization. Sometimes we are odd in a quirky, W.T.F. way (which I will show in the near future when my film comes back from the lab). Sometimes we are odd in a very consumer-istic, “lets fleece as many people as we can” kind of way. To be fair, I am sure that there are plenty of odd people all over the world. I can only really speak for my own culture though, as I am living in it. The London Bridge is a “Let’s fleece as many people as we possibly can” kind of odd. I visited my dad at his winter home in Arizona last month and he offered to take me to The London Bridge while I was there. I was intrigued. I’d heard the story about it very offhandedly and was curious. The London Bridge in Arizona? What would it look like? I think, like many people, I was picturing the Tower Bridge (because I have a very vague knowledge of famous London landmarks and when the words “bridge” and “London” combine in my head that is what appears). So when I found myself face to face with The London Bridge in Arizona I was disappointed. that’s it. It’s not even a beautiful bridge. There is nothing physically remarkable about it. Except maybe that it used to be in London and now it resides in Arizona. However, it is remarkable in that it utterly epitomizes the capitalistic tendencies of American culture. 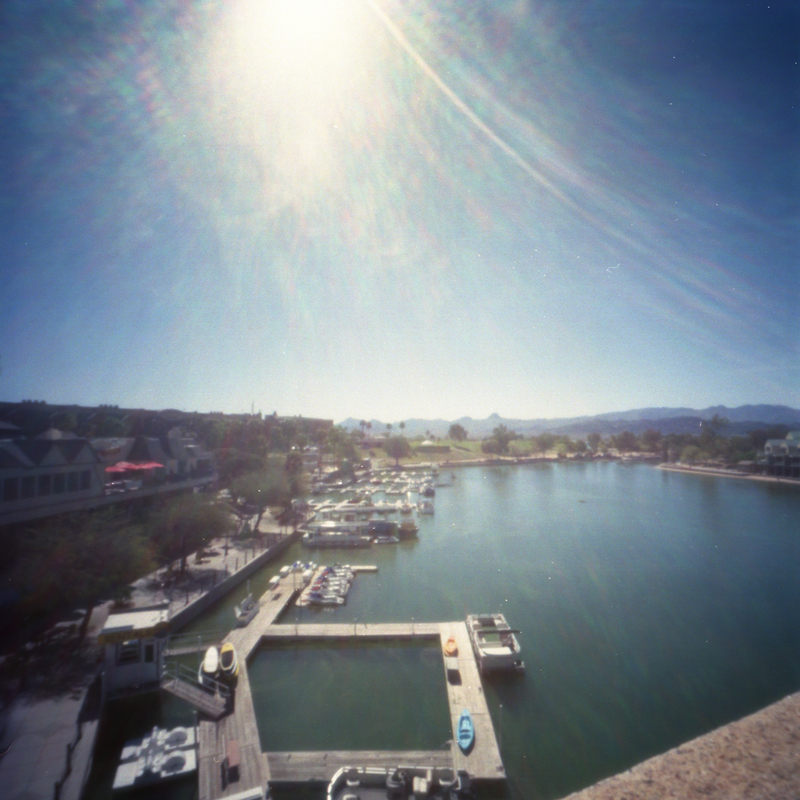 The bridge was purchased in the Seventies by an oil tycoon, Robert T McCulloch for the sole purpose of drawing tourists to his planned housing development/city (Lake Havasu) in the desert. It totally worked. The American obsession with all things British drew the masses to the desert and, lo and behold, a city was born. And it is still working. The London Bridge draws thousands of tourists a year. It drew me. 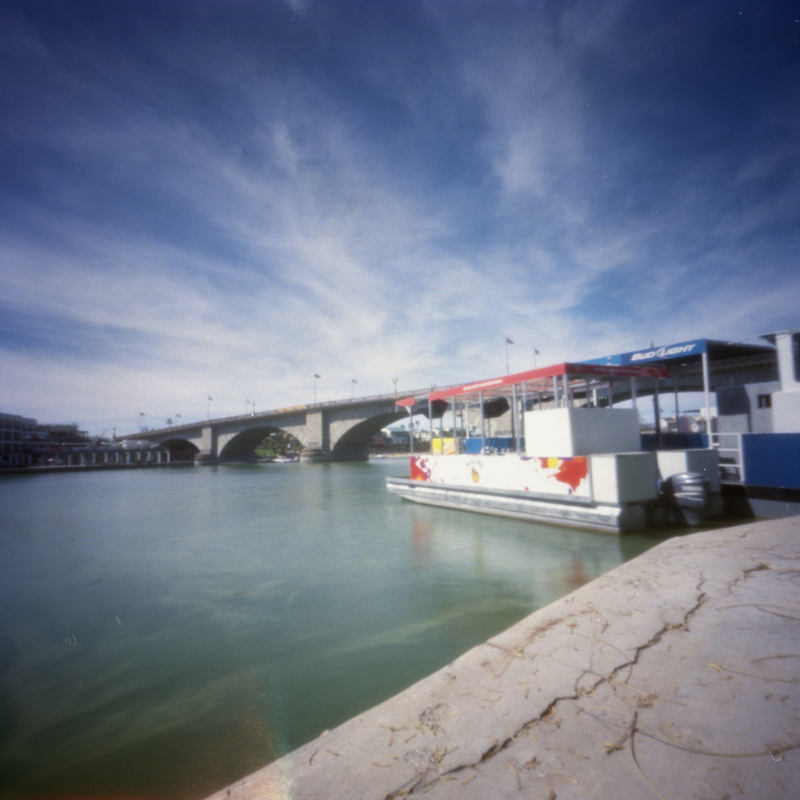 Here are some pinhole photos I made while I was there. 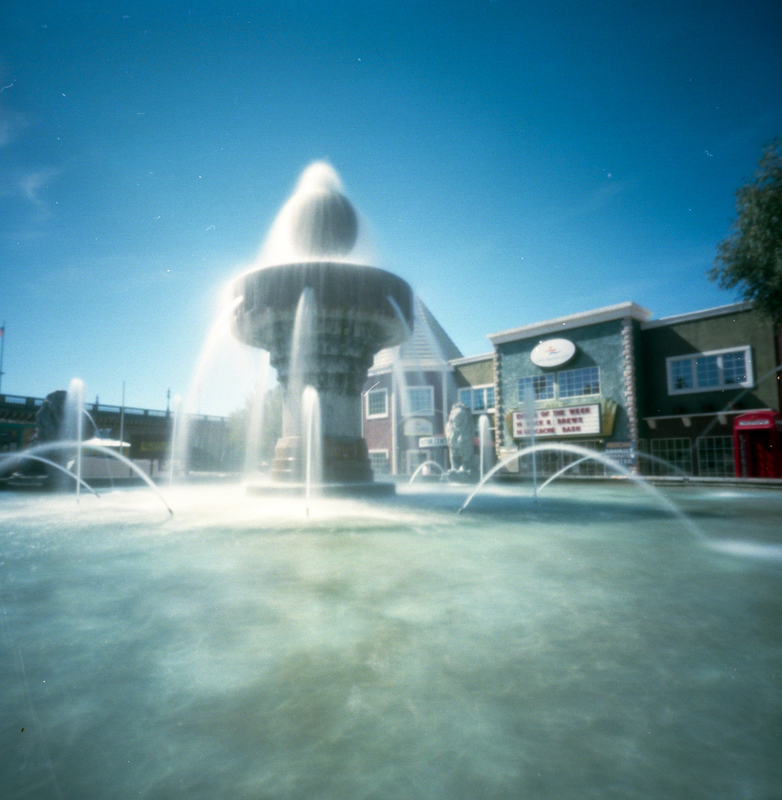 All were shot with my Zero 2000 and Portra 160 film, exposure time less than 5 seconds. Wait till I write about our fake Stonehenge… I think the Pacific Northwest is a special kind of weird. Oh wow! That is INTERESTING! Why did he choose to replicate Stonehenge in protest? That is not really clear – the guy that built it was a property developer and I *think he was truggeling to get permission to built a hotel or holiday homes on the island – under the cover of darkness this thing was built. Building it – or refusing to remove it on the grounds that it was an “ornamental garden” landed him in goal for 3 days. Interesting! Maybe his motivation is also to make money by drawing tourists, like Mr London Bridge. Maybe but i’m not fully sure but this place does ok for tourist without trying too hard…although they do seem to be surprised when people want to eat in the hotels. Last time i was on the island half the group were vegetarians and the local hotel owner hit us with “what do you mean you don’t eat fish – most vegetarians eat fish” it is safe to say it was the worst veg stir fry I have ever eaten in my entire life. Oh wow! Gorgeous! Well maybe the builder is just odd. Or crazy. It’s impressive that he built it overnight. And that he chose to build Stonehenge. I still don’t understand why our guy chose to replicate it, even after reading the explanation. The real thing must be very impressive. I love your photo style. 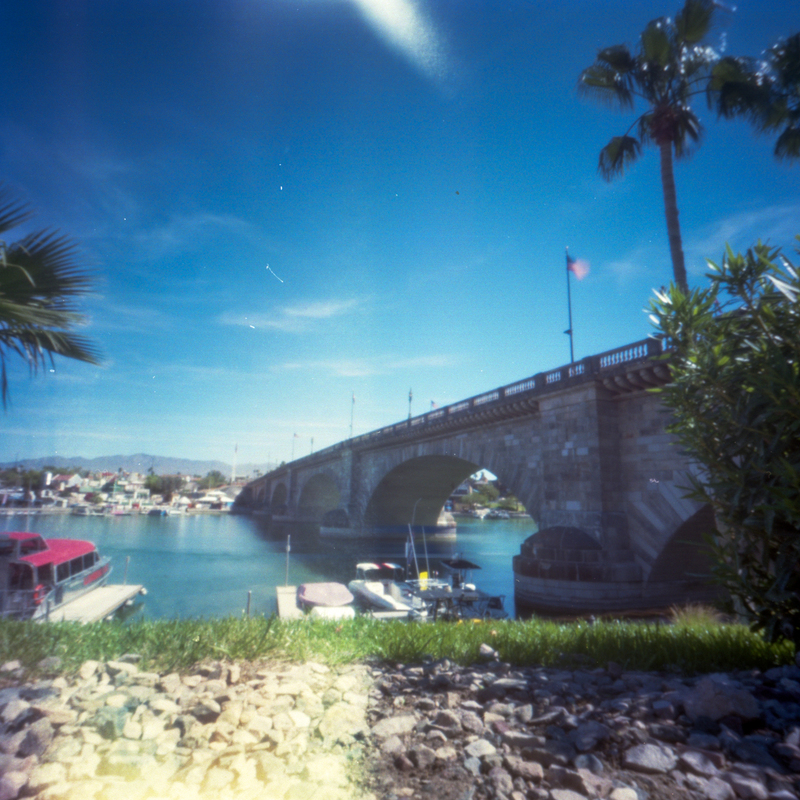 I’ve been to Lake Havasu (from the California side) but never stopped to see the bridge.